Plaster of Paris is one of the best solution to showcase your creative desires into structures suitable for your homes, as gifts or even as sign of your boundless talent. Sounds fun, right? This is fun and artsy along with being one of the easiest things, as long as you don’t intend to do it professionally, of course. 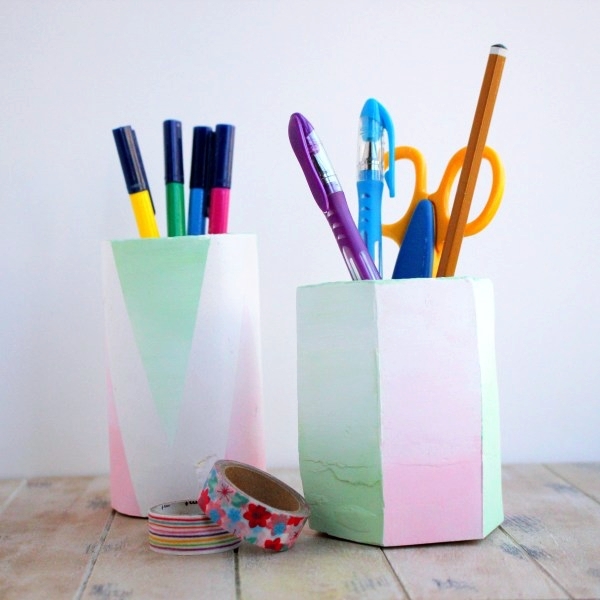 Plaster of Paris is a material that helps you kick your creative gears and get going. Before that, I would suggest you read all about the materials and get to know everything that you will need beforehand in order to make Plaster of Paris Art and Craft Ideas just about perfect. The best choice of paints to be used on the plaster of Paris are acrylic paints. The one thing to be kept in mind is that the article has to be dry before using the paint on it so that it doesn’t form an emulsion by sucking the water in the paint. AND when Christmas is around the corner, I am sure you can pretty find these DIY decoration ideas handy. Every kid dreams of having a self-made vase at home. A vase where you can put in fresh flowers and flaunt it in front of every guest how you made it. The added benefit of this is the fact that you don’t need the revolving potter’s wheel. 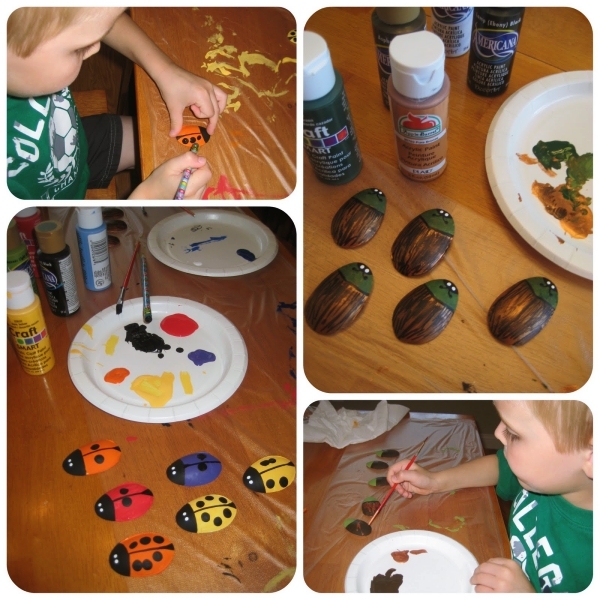 You can make it creative and colorful using acrylic paints. This is another plaster of Paris art and craft idea for adults. Sculptures can be extremely personalized by making impressions of hands or footprints. These can create memories which last a life time. Decorating your small cozy places with these stunning sculptures is indeed a mindblowing idea. Did you know? More interestingly, there’s also an artist that makes sculptures of pregnant bellies out of plaster of Paris for mothers-to-be and beautifully decorates them. Planted pots form an exceptional gift. These last longer and look beautiful, when made out of plaster of Paris, the pot can be decorated with cute colors and designs that speak to the person. You can see and grab some ideas from burlap projects to enhance the look and spice up creativity. Decoration ideas for occasions such as Halloween can never be enough, here’s another idea how you can stand apart from the crown who stick on those regular, boring, repetitive décor every year. Plaster of Paris can be used along with cheese cloths to make amazing ghost- like impressions. Photo frames are the perfect gift idea of all times. With making your own plaster of Paris photograph, you save money, get the perfect size of the picture you need and also, get the sense of accomplishment doing something productive, which is great, isn’t it? 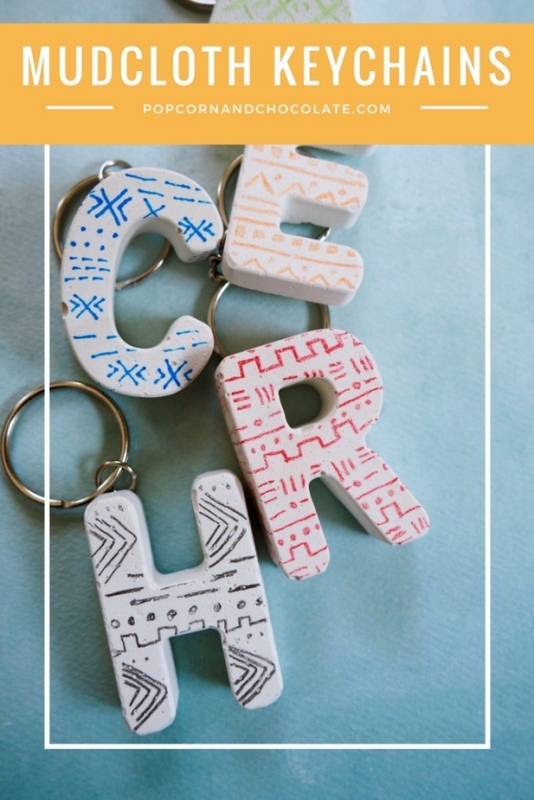 In this century, who doesn’t need a keychain that signifies something amazing. Another advantage of using a keychain made out of plaster of Paris is that it would be heavy so losing your key won’t be much of a problem then. Isn’t the normal oxidized silver jewelry far too common these days? Here’s an idea, why not make your own cool and colorful jewelry in place? This way you not only control your expenditure on the expensive accessories wardrobe but also create something exceedingly unique for your rooms. Pen holders form the most important part of your study table. 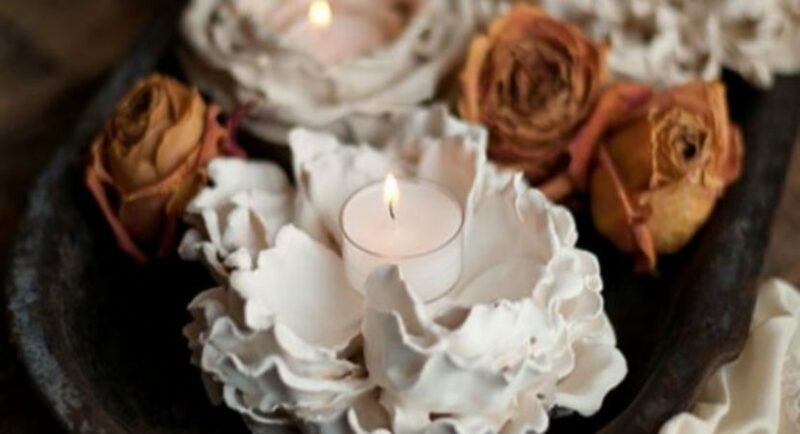 Also, plaster of Paris can be used to make other holders such as jewelry boxes or candle holders etc. Match the colors with your favorite interior paints ideas and see the magic working on hearts. Wouldn’t it be exciting if we could customize the badges we put over our bags and t-shirts? Just make a circular or square cut-out of the material and write something hippy and jazzy over it using a permanent marker. These look super cool and add charm to the object beholding it. Now, you must be wondering how to attach it? Here’s a tip – This is the real trick, you have to attach a safety pin right when the plaster of Paris is wet so that the pin gets enough time to hold onto the badge. These are tremendously easy to make and can be used for teaching children. They’re durable so they won’t break even if the child throws it across the room. Plaster of Paris is one stop solution to embrace the creativity in you. Moreover, it will help you create pretty little Plaster of Paris Art and Craft Ideas that you are proud of.